You must be wondering, "why even bother listing on other search engines? Everybody uses Google anyway". For one, there's a pretty sizable group of people who don't search using Google. According to research by NetMarketShare, Google had two-thirds, or 67% of the desktop market share in 2015. While this is a sizable chunk, it also means that one in every three desktop search queries are not on Google. Looking at Bing specifically, it has around 10% of the desktop search engine market. So as an approximation, for every 100 visitors to your site from Google, you could get an additional 10 by listing on Bing. Not bad! Another benefit of listing on Bing is that because so much of the competition focuses on Google SEO, it is easier to rank on Bing. And with Bing's market share increasing every year, it wouldn't be surprising if it made up a significant 25% of search volume in a couple of years. Just as with Google Webmaster tools, the Bing webmaster tool allows site owners and administrators to submit their site to Microsoft and receive SEO and other information related to their site for free. So let's get started! Go to the Bing Webmaster Toolbox page and create a new account. Alternatively, you can log in using your existing Windows Live ID. Click on "Submit your Site to Bing" found on the right of the page. Type the URL of your site's homepage and click submit. Now that you have submitted to your site to Bing for indexing, take advantage of the full range of their webmaster tools by filling up the details about yourself, your site and how you wish to receive any alerts related to your site. For us, at this point in time, we opted to receive a weekly e-mail communication from Bing should there be any crawl errors, issues with indexing, issues with the sitemap or malware with our site. You could opt for a daily or monthly e-mail alert depending on your preference. In our opinion, option 2: copying and pasting the <meta> tag in the default web page is the easiest option. If you're using Blogger / Blogspot, this can be done by editing your template's HTML and pasting the code there. Congratulations! 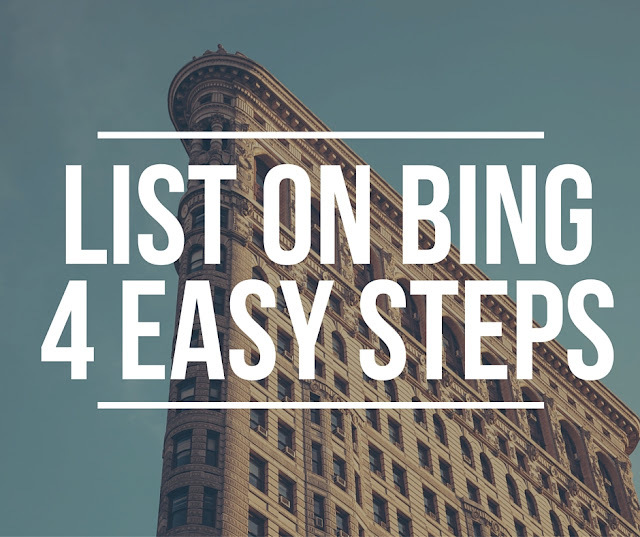 That's the last step of the process when submitting your site to Bing. Your site has now been marked for indexing and you should be able to see the data gathered by Bing within 2 days. Have fun analyzing the data about your site. We hope you've found this article on how to list your site on Bing useful, and hope that it will bring more visitors to your site. Stay tuned for more tech tips and in the mean time, do check out our How-Tos page and Blogger Resources page for more useful guides.